Planning issues for Odeon in London and Vue in Brighton… a cinema rebuilt from the wreckage of Hurricane Katrina… Happy (Feet) ending for one cinema in Australia but not for 2nd… autism-friendly screenings and Empire worried about its loans… Giselle and Goldfrapp both in cinemas… measles and what Bird Flu will do to exhibition… plus why no cinema for Halliwell’s home town? UK: Vue’s cinema plans for Brighton Hippodrome appear to be in limbo. “Planners say they need more detailed proposals on turning the Grade II-listed Brighton Hippodrome into a cinema before a decision can be made on its future. The proposal, submitted to the city council on 20 December, would see the theatre turned into a £35m eight-screen Vue cinema and four restaurants.” Perhaps Vue should stay that it will continue with ‘live performances’ – shown live on the big screen. Link. UK: “In House Cinema will be based at the Exchange at the Thainstone Centre, Inverurie. And it aims to screen new film releases for all ages every month. The first screening at the 500-seater venue will be on Friday, January 31 with Moshi Monsters: The Movie, at 6pm and Mandela: Long Walk to Freedom, being shown at 8pm.” Quite the double bill. Link. USA: Central Oregon. 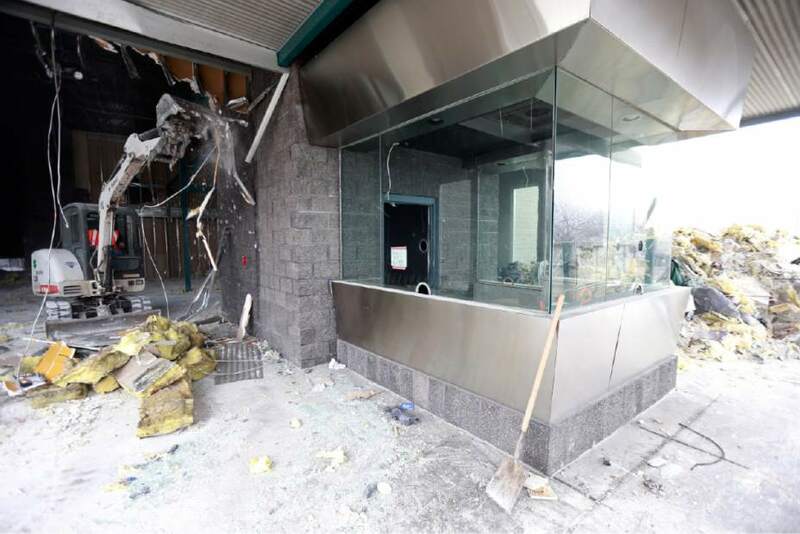 “Demolition of the former Pilot Butte 6 theater building in Bend is underway this week. At left, the theater entrance appears during its last day of showing films in September.” (Nothing particularly distinguished about the cinema, we just liked the photo.) Link. USA: A really big screen for Nebraska (the state, not the film). “In the coming months, Marcus Theatres plans to introduce a new concept to the downtown Lincoln Grand Cinema: the Ultrascreen DLX. The theater features a screen that is three stories high and up to 74 feet wide, as well as electric leather recliners and a state-of-the-art Dolby sound system called Atmos. But these supposedly new innovations, film studies professor Wheeler Dixon said, are just a repeat of what had already been done in the past, and they’re being done now for the same reason: to stay competitive.” In case you hadn’t guessed. Link. Australia: However, it is not always easy to run an art-house cinema. “The George Revival Cinema in Fitzroy Street will close its doors after the weekend of January 31 to February 2, after six months of operation. The cinema reopened last year after a two-year hiatus, with a program of old and some new movies. It was run by Gus Berger, making a first foray into cinema management after a range of other film and music-related activities.” Kudos for trying. Link. Australia: More heart warming is the following tale. 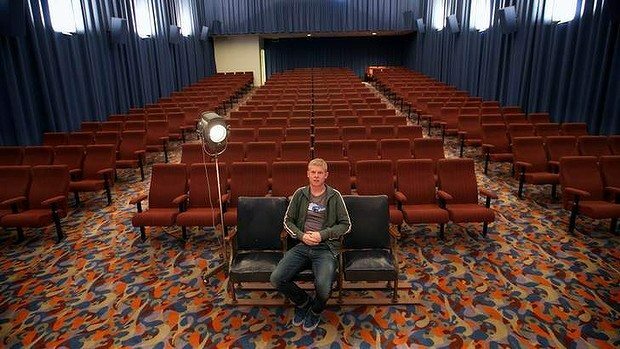 “It’s a story fit for a movie script – the small struggling cinema in Newcastle forced to close but then saved by an Academy Award winning director. Seven years ago, the small Regal Cinema at Birmingham Gardens in the western suburbs had to close.” But, “George Miller who created and successfully delivered Happy Feet 2, the sequel to Happy Feet, came to the rescue. The director of the musical adventure featuring a penguin colony needed a state of the art digital cinema for his film – but once the movie was delivered it was set to be sold.” Guess who got it? That’s right, Regal. Happy ending. Link. UK: Vue has commendably been promoting autism-friendly screenings in its cinemas all across the UK. “Autism friendly films are special screenings of children’s films, where subtle changes to the traditional cinema environment have been made. At Vue cinema in Redditch, the lights will be left on low, the sound is turned down, trailers and adverts are not played and it is OK for people to move around if they wish to during the screening and make a bit of noise.” After Mom-and-baby screenings, let’s hope this trend catches on. Link. Australia. More pop-up cinemas. “The IMB Sunset Cinema has been one of the biggest hits of Wollongong’s summer, but the outdoor movie season is far from over. The program ends on February 15, but another cinema will pop up in the botanic garden soon after. The touring Flix In The Stix festival makes its first visit to Wollongong on March 7, bringing film and music to Gleniffer Brae.” Link. Empire Cinemas (UK/Ireland): Is Empire Cinemas in trouble? In the fall-out from the Irish banking crisis, it seems the €54.5 million and €27.3 loans relating to the business that financed the purchase of cinemas from Odeon and Cineworld could be taken over from the bank that was bailed out by the Irish state. “The High Court is to be asked to direct an early hearing of a challenge by the owner of a major cinema group to moves which he says could result in the sale of about €81 million in group loans to Nama by the liquidators of the Irish Bank Resolution Corporation. Thomas Anderson, beneficial owner of Cinema Holdings Ltd and Cinema Holdings Two Ltd, subsidiaries of the Isle of Man-registered Empire Cinema Group, wants High Court orders blocking the sale of the loans on grounds inclu- ding a transfer to Nama could be disastrous for his business and employees.” Link. 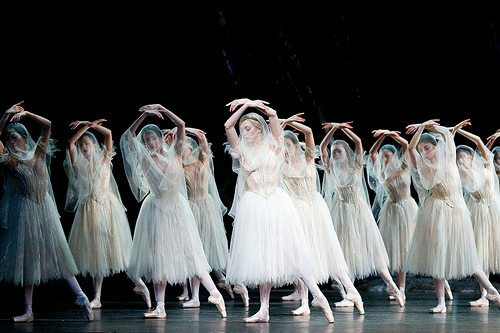 Ballet (UK): The Royal Ballet’s performance of Giselle, featuring ‘ballet superstar’ Carlos Acosta partnering Natalia Osipova, will be transmitted around the world on Monday next week. “The Giselle that will be broadcast on Monday, January 27, will go out live to more than 1300 cinemas across 27 countries, and a score or more of those will be scattered across Scotland, from Thurso (the UK mainland’s most northerly cinema) to Hawick in the Borders.” One interesting point in the article is that it allows the families of the international cadre of dancers to watch them in their home country. Link. Pop music (UK): “Goldfrapp announce details of a very special Tales Of Us cinema event ‘ a worldwide screening of the stunning film Tales Of Us followed immediately by an exclusive dramatic live performance transmitted into cinemas from the magnificent surroundings of the legendary Air Studios in London. This must-see state-of-the-art experience will be broadcast by Arts Alliance Media across the UK, Europe, North America, Australia and New Zealand on the evening of 4 March 2014.” The film is 30 minutes and the live gig is 50 minutes long. Link. Australia: More on the danger of the measles contagion-risk in a Western Australia multiplex. “School holiday cinemagoers and staff were potentially exposed to the communicable disease after a patron, a WA resident, was confirmed to be infected with measles following a holiday in Indonesia. A Health Department spokesman said the infected person was in the foyer and walking around the complex, so people going into different sections of the cinema could have had contact.” [When (not ‘if’, but ‘WHEN’) the human avian flu outbreak happens, short shares in cinema companies and go long on Netflix and Amazon.] Link. 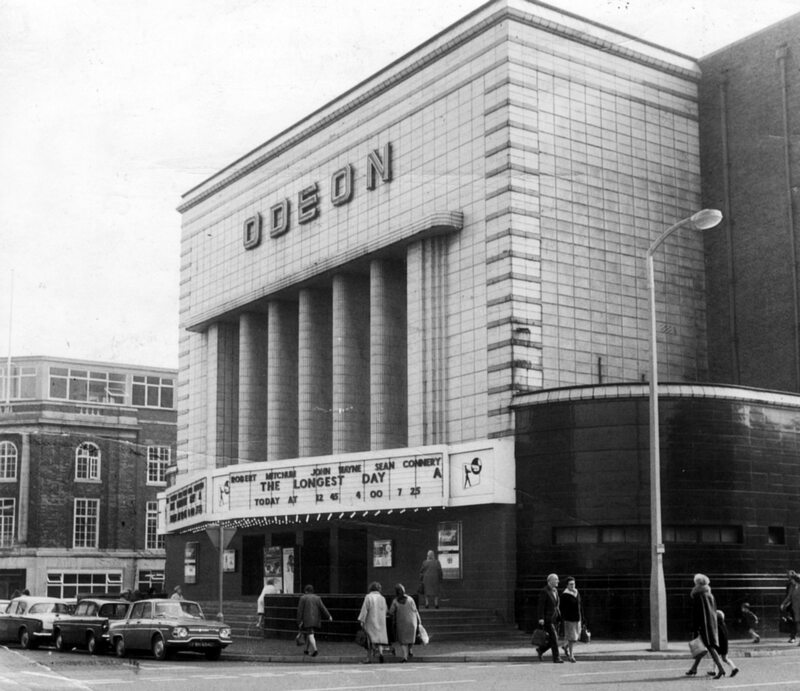 Cinema Nostalgia: A beautiful collection of black and white photos of cinemas from downtown Bolton (UK), the birthplace of Leslie Halliwell of Film Guide fame. Despite a population of 140,000, which ranks it in the Top 40 in the UK and ahead of towns like Brighton & Hove, the town is only served by two out-of-town multiplexes. Link.